Dr. Evan Cohen is a doctor with over 20 years of practice from Huntsville, Alabama. He took his medical degree at Baylor College of Medicine. Later he completed a fellowship in thoracic surgery at the University of Alabama Medical Center and also a residency in general surgery. 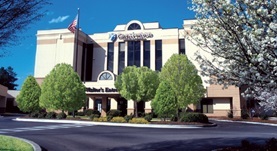 Doctor Cohen performs surgeries such as thoracotomy and lobectomy. He currently works with Crestwood Medical Center.